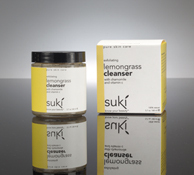 For those interested in safer, natural skin care alternatives, Suki skin care is really worth a try. Created by Suki Kramer, who had a lifelong struggle with skin issues, her skin & body care products are carefully formulated with pure, organic ingredients that are free of synthetics, gentle and profoundly effective. Kramer is also a strong advocate of educating the consumers on the quality of ingredients available and providing the latest information in the natural skin care industry. I suggest getting the Mini Skin Care Kit to get an overall sense of the main line. It includes the exfoliating lemongrass cleanser, moisture-rich cleansing lotion, concentrated facial toner-shitake, facial moisture serum-carrot, complexion brighteining cream, delicate mositure body oil, hand & body velvet creme, and hand & body butter creme. I liked how the Cleansing Lotion hydrated my skin. It wasn't greasy upon application, and provided an ample layer of moisture. If your skin is oily, you might be tempted to skip the moisturizer. The Exfoliating Lemongrass Cleanser is another great product. Smelling like an exotic lemon drop, it encourages cellular turnover with chamomile and natural vitamin C. The Velvet Facial Creme has a wonderfully light texture, without any heavy residue. 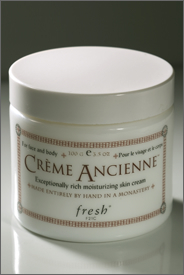 This creme is especially powerful with its healing antioxidants, which helps with blemishes, redness and inflammation. The Carrot Facial Serum is great for dry winter skin, and is particularly helpful with sun damage, general skin irritations, rosacea and eczema. Although it's only winter, it's always a smart idea to get proper year-round SPF protection. Afterall,that's the foundation for ageless beauty. If the idea of carrying a leaky bottle of greasy sunscreen sounds icky, definitely consider the powder brush from Colorescience's Sunforgettable SPF 30 line. Available in a body brush, roller ball and shaker jar packaging, it's super easy to keep that precious skin layer safe from all the UV rays. I love how it's completely water-resistant for up to 6 hours, and you don't need the 20-minute wait after application. Just brush on and go! One application provides full spectrum protection for the entire day. How conventient is that? Now there is no excuse for sun damage. 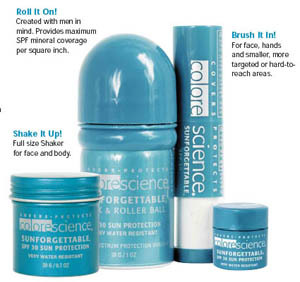 www.colorescience.com or call 866-4COLORE for spa retailers. If you're still confused about Valentine's gifts, take a gander at Dancing Deer's yummy selection of sweet goodies. Using only pure and fresh ingredients, this woman-owned enterprise churns out awesome, award-winning cookies, cakes and brownies. 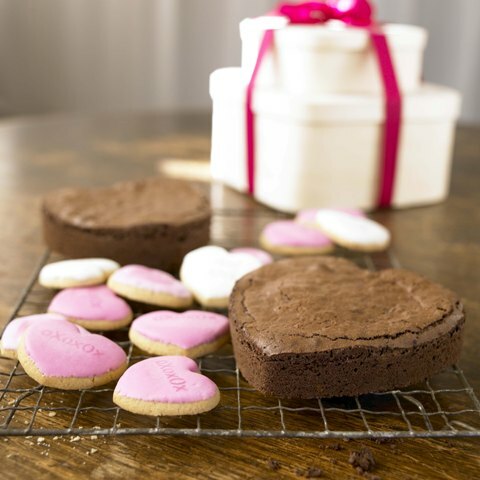 Your sweetheart will adore these freshly made products, and so will you. 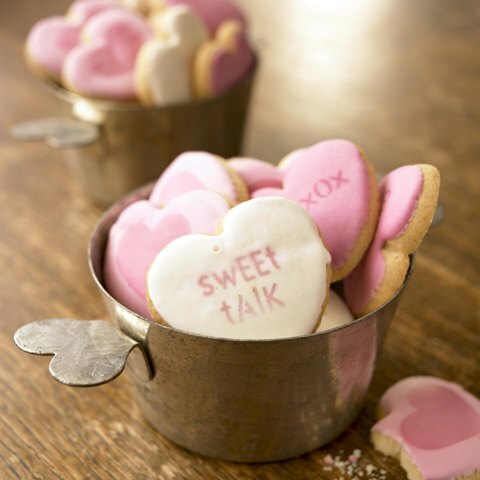 Start with the Conversation Hearts Gift Set, which contains hand-dipped, hand-stenciled buttery vanilla cookies that read ‚ÄúReal Love‚Äù, ‚ÄúSweet Talk‚Äù, ‚ÄúxOxOxO‚Äù, and a dark pink stenciled heart. 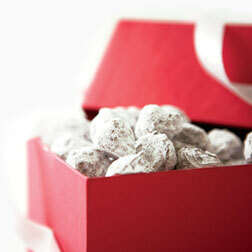 The 12 cookies are lovingly packaged in a wooden gift box with a fuchsia ribbon ($19.95). If that isn't enough to show your love, go the extra mile and get the Sweet Talk Cake & Cookie Tower, which includes two 5" heart-shaped chocolate ganache cakes and twelve of the same conversation heart cookies ($39.95). Serious chocolate lovers will be lusting after the Chocolate Lover's Medley, which includes the popular Chocolate Chunk Brownies, a heart-shaped Chocolate Ganache Cake, a Chocolate Espresso Cake, whimsical Chocolate Decorated Hearts, amazingly Chewy Chocolate Tangerine cookies, and the famed Chocolate Chip Cookies ($49.95). Available at Whole Foods Markets, Wild Oats and Williams-Sonoma. Order online at www.dancingdeer.com, or call 1-888-699-DEER. Valentine's Box - Nothing says ‚ÄòI love you‚Äô more than these bite-sized pieces of heaven. 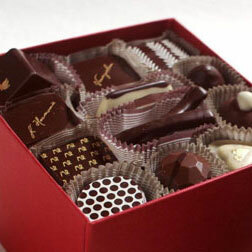 This special assortment includes the popular Fleur de Sel Caramel, Ginger Heart and Lavender Vanilla. Also featuring the following scrumptious flavors: Tarragon Grapefruit, Burnt Caramel, Lemon Verbena, Spring Jasmine Tea, Pearl Mint Tea, Star Anise & Pink Peppercorn, Sesame Nougat, Rose Caramel, Bergamot Tea and Piedmont Hazelnut. 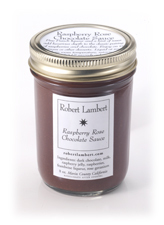 I've had the good fortune to discover the YUMMY chocolate sauces, syrups, marmalades and fruitcakes from Robert Lambert at a recent food show, and I've been raving them to everyone and their grandmother ever since. You can see the passion and refined artisan sensibilities behind each and every product, from the flavor concept to the actual ingredients used in each batch. For example, the flavored syrup collection has just about any exotic flavor you can imagine, from Bergamot to Thai Ginger to Rangpur lime. Great for pancakes, iced teas, baking pound cakes, yogurts, salad dressings, cocktails, and marinades. You can even combine the different flavors to make your own special creation. The stellar chocolate sauce collection is something every choco-lover should try. Robert only uses fine dark chocolate, instead of the typical cocoa powder and corn syrup combo. My favorites were the Raspberry Rose (infused with French framboise liquer), Mojito Mint, and the Malted Milk. The Mexican and Ginger Pear are also popular flavors. But who am I to tell you what you should try? Just get them all! Great for ice creams, toast, hot cocoa, fondue, or for dipping fruit. 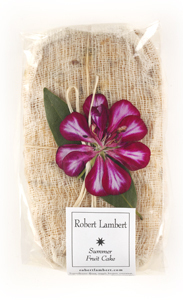 For those who aren't big fans of fruit cake, Robert's fruit cake collection will totally change your mind. I like the Summer Fruit Cake, with its cherries, mango, pears, almonds, guava and peach juice, macadamia and pine nuts, candied Rangpur lime, etc. Lushies will be happy to note that this is soaked in apricot brandy. Decorated with a California bay leaf and geranium blossom, it's such a pretty snack to bring to a housewarming, afternoon tea or dinner. Don't overlook the incredible marmalades. With flavors like Calamondin, Seville Orange and Grapefruit Trio, you will be instantly hooked. There's no better way to say those three little words than presenting this aptly-named drink, The Plymouth Passion. Easy to make, the smooth taste of Plymouth Gin and the exotic combo of pomegranate and passion fruit will definitely stir up more than enough passion between you and your sweetheart. 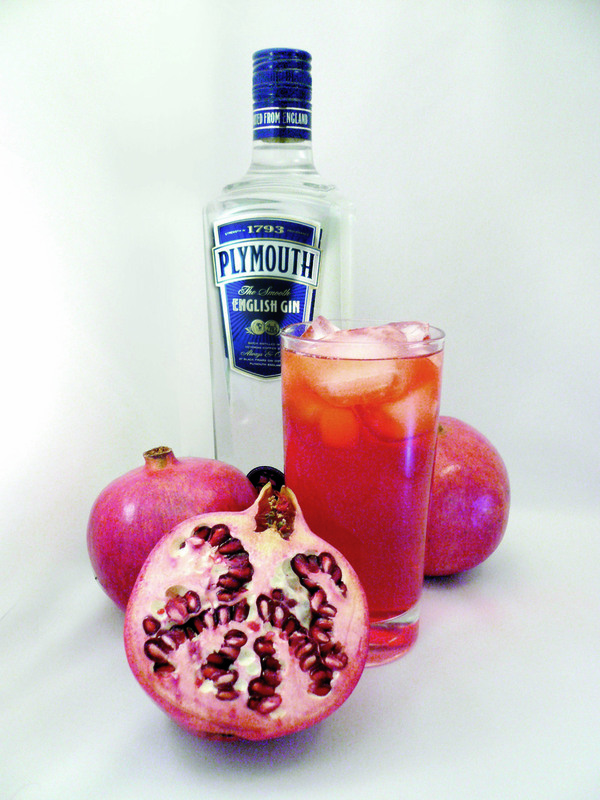 Fill a tall glass with ice, add Plymouth Gin and top with equal parts pomegranate and passion fruit juices. Add squeeze of lime and then stir. With Terra Nostra's new organic offering, you don't need any excuse to indulge in high quality chocolate. The super smooth Robust Dark & Roasted Almonds bar (60% cacao) contains about ten times the antioxidants of fresh blueberries, so it's almost like a daily fruit serving (at least that's what I keep telling myself)! There's no need to feel guilty over the calories, and you're also supporting a company that is socially responsible (founder Karlo Flores is an active member of international fair trade community). 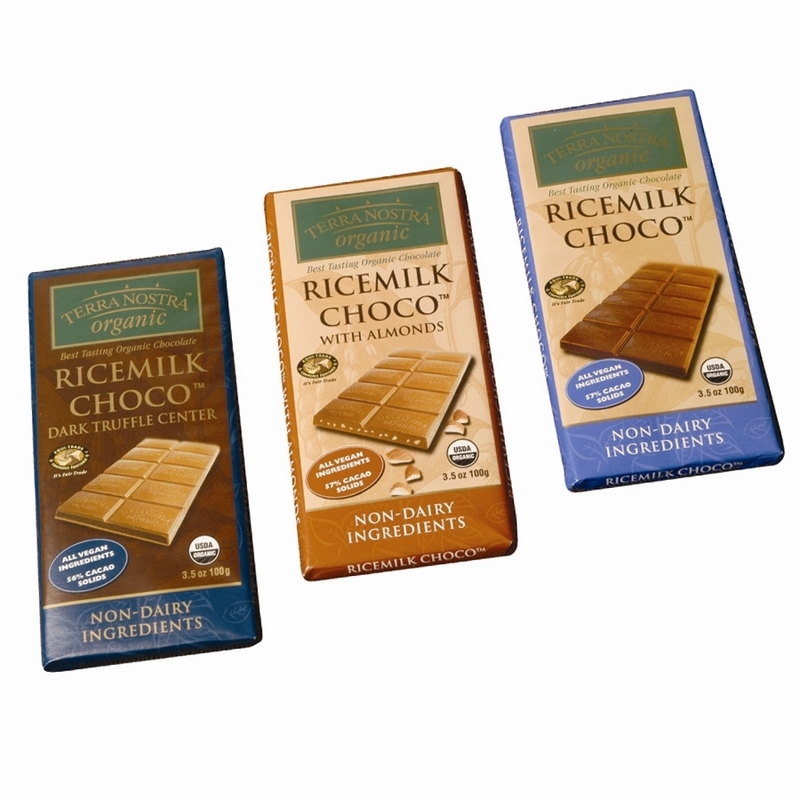 For the vegan folks, the Ricemilk Choco Bar collection is something you should seriously try. 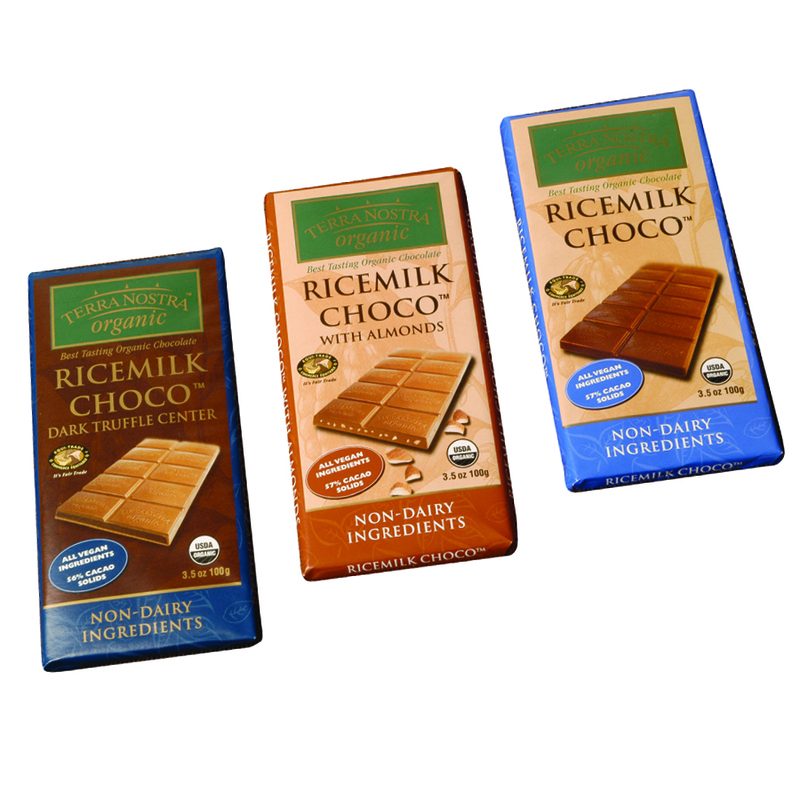 Made with a high percentage of cacao, these 'milk chocolate' bars have a very smooth feel and an intense chocolate flavor (56-57% cacao content). Also great for those with dairy allergies. Can we say yum? See you at the health food stores! For all you foodies salivating for more "Gourmet's Diary of a Foodie," your wait is over. Brand-new episodes starting this month will cover tasty topics such as the controversial reemergence of mind-altering Absinthe in France, exploring the American micro-brewing movement, and the exciting world of molecular gastronomy (Liquid nitrogen as an palate cleanser? This I gotta check out!). 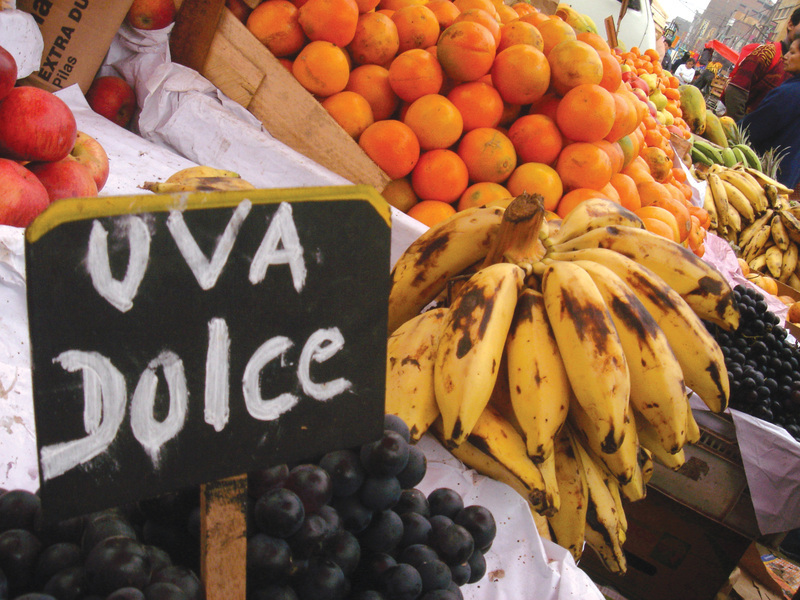 Gourmet's Diary of a Foodie visits Peru. If you're blasting the heater at max capacity like I am, try soothing your leathery skin with Fresh's Creme Ancienne. Hand made in small batches at a European monastery, it's based on an ancient formula (inspired by the world's first skin cream, in the 2nd century A.D.) that includes meadowfoam, chamomile wax and osmanthus oil. Thick and rich, it's a great antidote to softening, firming and smoothing the skin surface. An antioxidant powerhouse, the Cranberry Pomegranate Masque is a force to be reckoned with. Loaded with whole fruit cranberry and pomegranate (along with seeds and juice), it has intense levels of vitamin C and polyphenols to revitalize skin tone and reverse the signs of aging. So good for your skin, it‚Äôs also packed with flax seeds, sunflower oil and gooseberry. Use this before you head out to your holiday parties, and people will be admiring your glowing complexion all night. Indulge yourself without the guilt! Deeply hydrating, the calorie-free Chocolate Mousse Hydration Masque fights the signs of aging deliciously with macadamia, almond, and jojoba oils. Who knew cocoa could be such a highly nutritious source of antioxidants? I loved the feel of my skin afterwards - the masque didn‚Äôt leave any greasy residue, just a perfectly hydrated complexion (It was so fragrant I actually tasted it ‚Äì it‚Äôs the real deal!). If you‚Äôre headed to the spas, check out the amazingly decadent Chocolate Truffle Body Wrap. My favorite facial moisturizer is now transformed into my new favorite body lotion! The Naseberry Body Lotion is the perfect antidote to rough elbows and just about any other dry spots you might have. Concentrated fruit acids help exfoliate and tone the skin while Calendula oil is added for an extra oomph of velvety softness. Another winner in my book. Great for daily use, the lovely Cranberry Naseberry Yogurt Body Wash gently exfoliates with naseberry while vitamin C-rich cranberry nourishes your skin. For cold winter nights, it makes for an ideal hydrating bath soak. For a more glam body treatment, try the decadent Cranberry Pomegranate Sugar Scrub. I felt like I was drenched with a giant fruit smoothie as I happily scrubbed my way to heavenly smoothness. 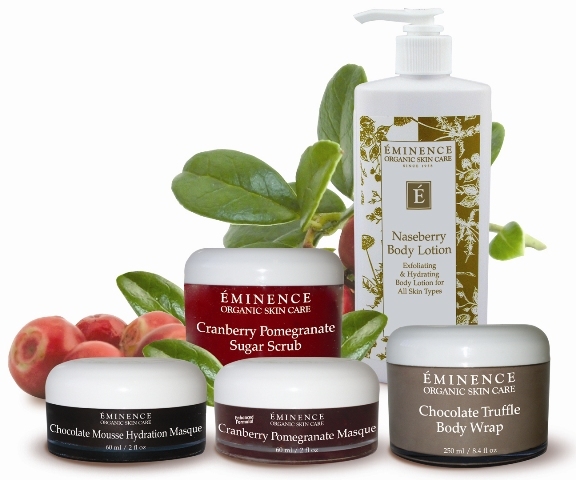 Check out www.eminenceorganics.com for spa & retail locations. See you at the spas! © 2004-2019 fête à fête® & Tami Yu; All rights reserved. fête à fête® is a registered trademark. Website designed by Tami Yu & Delphine Doreau.